Julie Ann San Jose and Ashley Rivera Leads The Vivo V7 Launch! Leading smartphone brand, Vivo held a re-launch of their latest smartphone offering from the V-series, the V7! The Raffle Winner for the first ever V7 in the Philippines! It was first unveiled at the grand launch held at SM City Bacolod Event Center last November 18 with Boyband PH headlining the event. 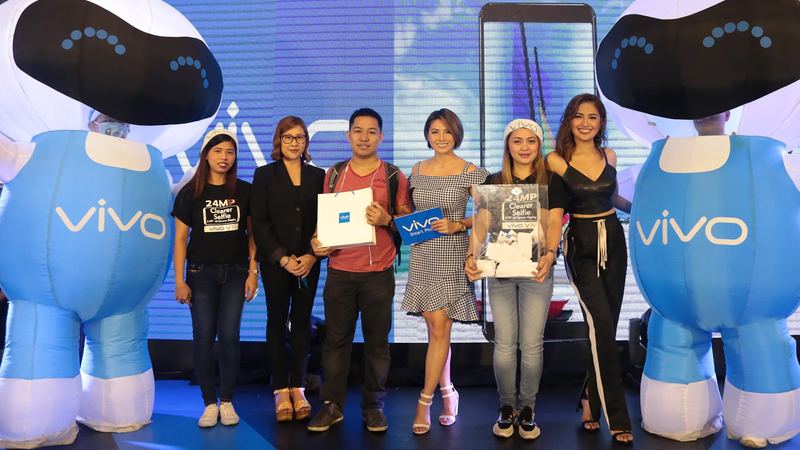 The re-launch was held at the SM North EDSA Cyberzone Event Center last November 28th and was graced by singer, Vivo influencer Julie Anne San Jose, male group One Up and was hosted by DJ, Vlogger Ashley Rivera. The event was attended by members of the media from various networks and publications. Ms. Hazel Bascon, Vice President of Vivo Philippines and Head of Sales welcomed the press and the audience who came all the way to witness Vivo's latest product and endorsers! This product just came in time for the holidays coupled with a special Christmas campaign to anchor the giving tradition of the Filipinos with full support from the Vivo brand! Vivo enthusiasts who came to the event were invited to take a selfie with Santa Claus and inside the Vivo Phone booth. The Phones themselves are available for fans to play with and purchase. The V7 retains the class leading 24MP front facing camera that fans have come to know and love from the V7 Plus released earlier this year.